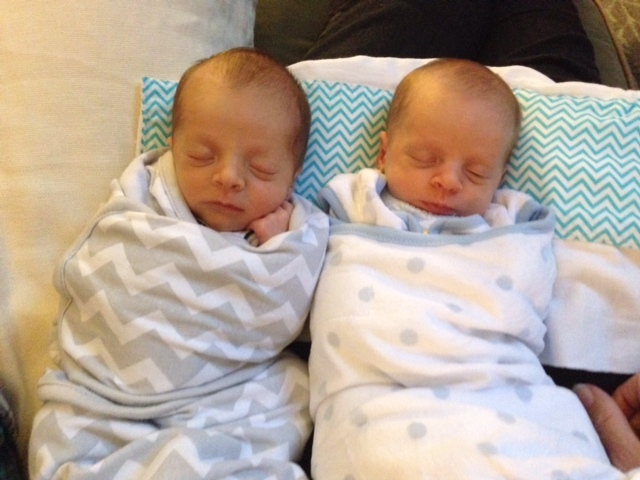 Just about a week and a half ago, these two beautiful babies joined our family. My youngest sister Kristen and her husband were blessed with twins!! Baby boy P and baby girl E are the final additions to our family on my side. 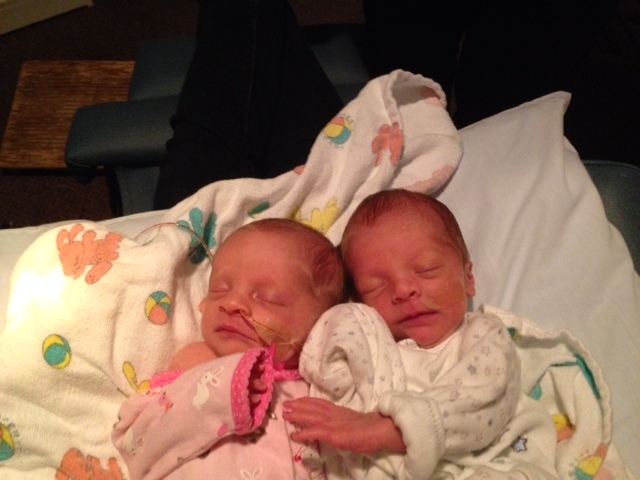 The twins came into the world 5 weeks early and thus had to spend over a week in the NICU. They are now home and everyone is slowly settling in to their new life and routines. It was love at first sight with these two, aren’t they the cutest?!?!? Lil’C and Z are so excited to meet their cousins and should have a chance to this week. I am so happy for my sister and brother in-law. I can’t wait to spend some more time with these sweet babies. Congrats K and M….We love you so much! Such beautiful little miracles! So happy for Kristen and for Auntie! SO ADORABLE!! EVERYONE LOOKS SO HAPPY!! 🙂 CONGRATULATIONS!